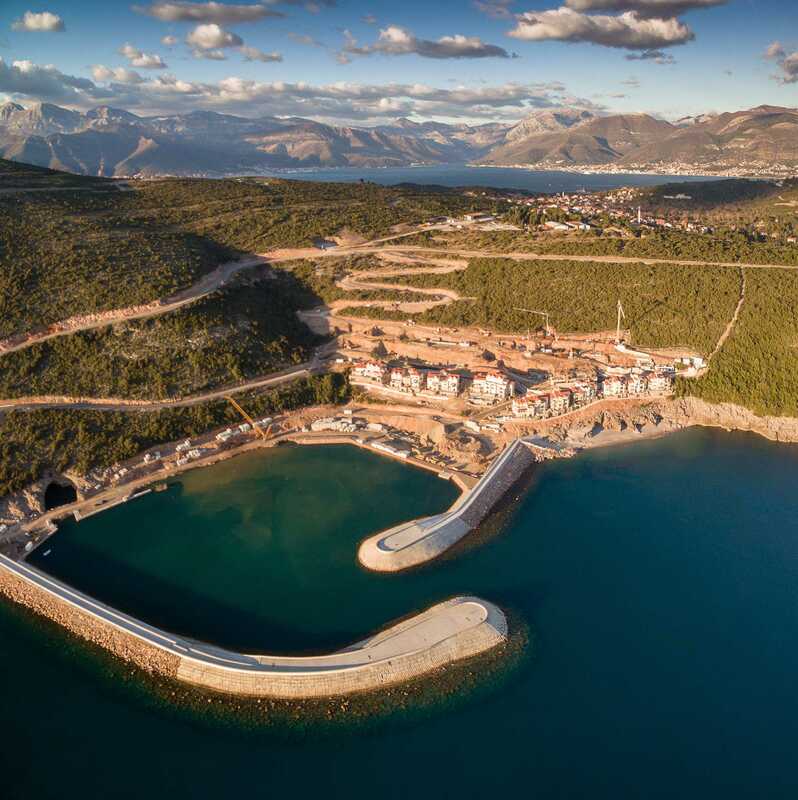 At this part of the Adriatic coast a unique blend of local heritage and untouched nature meet eco-friendly architecture and world class facilities to create an exceptional new Montenegrin community. This luxury resort is situated on Traste Bay, on Lustica peninsula in north-western Montenegro. It is adjacent to the village of Radovići, part of Tivat Municipality. The complex is situated 13.5 km from the city of Tivat and 10 km from the international airport with flights worldwide. 80 km from the development is the capital city Podgorica and 60 km is Croatia’s Dubrovnik. The resort will unite nature, history and first-class modern facilities by offering authentic local cuisine, traditional architecture, golf, nightlife, world-class accommodation and 5-star hotels, year-round activities and much more. All residences will have easy access to the resort’s transportation systems, shops and restaurants, beaches and marinas. A pedestrianised community by the sea enjoying cafes, bars, boutiques and gourmet dining, plus 3 marina hotels offering 5-star accommodation. The total area of the plot is 690 hectares or 6.9 million sq.m. and total built-up area is 425 000 sq.m. Only 6% of the total area will be developed, 94% will remain as natural. Available for purchase are 14 exclusive townhouses. These townhouses in traditional architectural style benefit from vast gardens, swimming pools, garages, outdoor areas of up to 90 sq. m., beautiful views to a Traste Bay and exceptional natural surroundings. Offering easy access to the marina’s promenade, but with a lot of private space, the townhouses provide rare balance between action and tranquility. Each townhouse has 2 or 3 bedrooms, ranging in size from 116 sq. m to 179 sq. m, extensive living and entertaining space. There is an opportunity to choose your property’s fixtures and finishes. These private houses in authentic style are perfect choice for families or parties of friends. Benefit from private pools, garages, and plenty more space than in city streets with outdoor areas of up to 90 square metres. The completion of townhouses is scheduled for the second half of 2017 or early 2018. Available for purchase are studios, 1-, 2- and 3-bedroom apartments. They will be ready by summer 2017. Some of the apartments are situated in buildings on the water’s edge. These frontline buildings are in the immediate vicinity of the cafйs, restaurants, bars and boutiques of the portside promenades. They offer communal swimming pools. Other apartments are located on green areas in a lively neighbourhood on the hills, enjoying panoramic sea views. Furnishing of the units: Unfurnished, apartment comes along with the fitted kitchen cabinets/built in home appliances (fridge, hot plate, oven, dishwasher, extractor fan). Just 4 exclusive marina villas will be custom-made to suit the tastes of their individual owners. The exteriors will be completed in traditional architecture style seen in the local area, while the interiors provide a blank canvas for owners. The development includes a wide choice of stand-alone villa sites. 2, 3, 4, and 5 bedroom units are available. Each villa site offers views either to the golf course, the sea or the mountain. 7 hotels with unique themes are planned to be built on different locations in the resort. Some hotels benefits from the seafront location or near marina, whereas other ones will be situated on the hillside near the golf course. Additional costs on top of the purchase price. 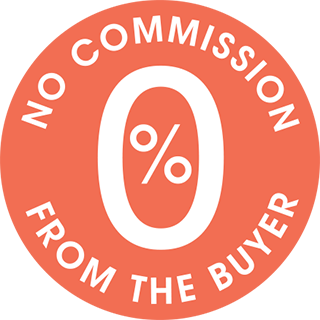 No additional costs on the buyer's side. The developer will cover notarization cost of the SpA, so there are no hidden charges in the contract price. Guaranteed rental income is offered for the hotel condo rooms only at the amount of 4.32% for the first 3 years of hotel operation. After 3 years this program stops and the profits will be split in accordance with the pool share proportion. A rental program for the individual apartments will be offered to the buyers once the buildings are completed. 24 apartments, 14 townhouses and 2 villas are available. The offered apartments will be ready by summer 2017. 10 buildings (C and D) with 70 apartments are finished and sold. Buildings of cluster F and G and the marina are scheduled for the completion in 2017 (most probably by summer season). The hotel will be opened in summer 2018. The whole project will be completed in around 15 years. Completion of townhouses is scheduled for the second half of 2017 or early 2018. These world-class properties are situated among untouched nature of Montenegro at the Adriatic coast, featuring unobstructed sea views. The development offers all living amenities, including shops, bars, restaurants, schools and medical centres. 2 marinas with mooring and docking support facilities, 7 hotels and a year-round world-class 18-hole golf course. With a flat-rate income and corporate tax (9%), Montenegro’s tax system has become one of most attractive in Europe. Foreign investors and Montenegrin citizens are treated equally, so buying and registering property is easy. Montenegro is at beginning of the real estate development cycle. Early buyers will benefit from a low entry price point and price appreciation over time. Buying and selling using the EURO currency – limiting currency risk. The Development takes an environmentally friendly approach as well as low density development strategy, which puts the environment in the centre of all decisions. The government of Montenegro is committed to reform, prosperity and dynamic growth. The management structure consists of a Swiss developer (90%), renowned for its precision and accuracy in the execution of successful integrated town developments around the world, and the Government of Montenegro (10%). Exotic and undiscovered, this amazing spot on the Adriatic coast is easily accessible from everywhere in Europe. This part of Adriatic Coast is a unique blend of untouched nature and local heritage and the resort features eco-friendly architecture and world class facilities. Montenegro is known worldwide for its historic treasures, such as the Old Town of Budva, the UNESCO-listed fjord in Kotor, the largest canyon in Europe - Tara Canyon, the Balkan Peninsula’s largest lake - Skadar. The region offers varied terrain and diverse opportunities for activity – skiing in Kolaљin mountain, hiking in 5 natural parks, sailing, swimming, golf, biking, caving, white water rafting.